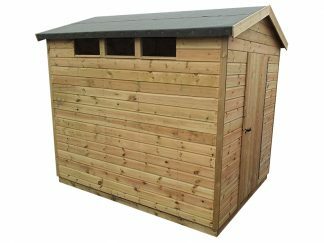 The Security Shed is a great solution to taking care of those valuable tools or bikes etc. This building is designed to aid security. The high level fixed windows allow daylight in whilst not permitting intruders. The door is strongly constructed with a full length hidden hinge and a good quality lock.